Explore your inner artist! Ingenious design without loose pieces. 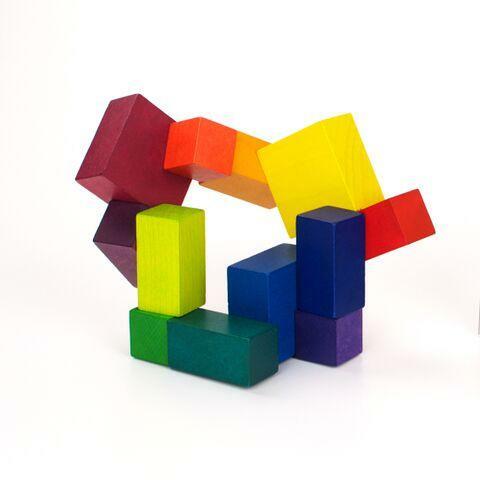 12 colored wooden blocks strung together with an elastic cord makes it easy to turn it into any structural art display. There is only one way to form a cube, but the goal is to explore and define your own structures. Even a random configuration resting on your coffee table looks elegant. Fabulous color finishes blended in a natural wood texture underneath, augment all of your never-ending design possibilities to a perfection. Dimensions: Cubes: 2.5" x 2.5" x 2.5"